The Gold Medal 2838 popcorn oil salt kit is a 10.6-ounce package that is compatible with 8-ounce kettles. Users are advised to store the product in temperatures below 90 degrees Fahrenheit. Learn more about the benefits of selling popcorn in our popcorn sellers' guide. Mega Pop Corn Oil Salt Kits for 8-oz Kettles. 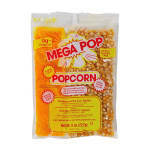 Mega Pop Popcorn Kit is a specially designed for ease of use. 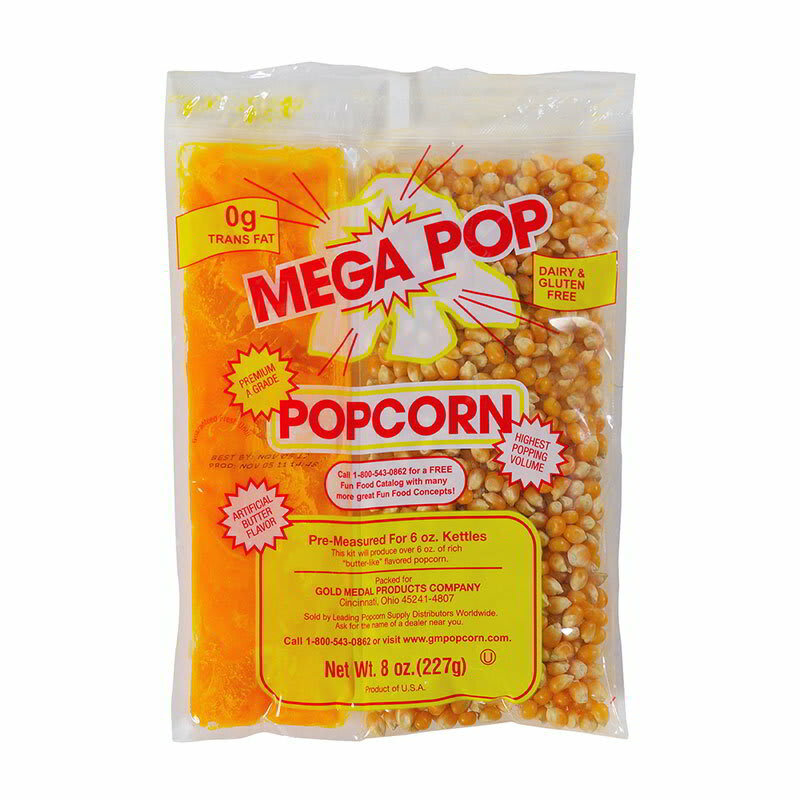 It is a convenient proportioned bag ready for popping. "My family has a movie night every Friday night and we love making fresh popcorn!" "Popcorn pops great, easy clean up." "Literally ate my weight in this stuff I CANNOT get enough!" I would but this product again and again. Love it, definitely buying again! "Our customers love the popcorn we serve. It's easy to make." "I purchased this product for my office machine. I love that it is in coconut oil and it taste great. We are literally standing in line to get a taste of it right now."